When predators are invasive, killing them becomes the responsible course of action. There’s a reason why Canada Goose jackets seem to be all anyone’s wearing these days: They work. The jackets may be marketed for their looks, but people pay high prices because they want protection from extreme cold. What consumers may not totally understand is that Canada Goose jackets are largely made of animals. The puffy stuffing is made from the down feathers of ducks and goose and the trim on the hoods is soft, warm coyote fur. The People for the Ethical Treatment of Animals have a problem with this. They’ve called for Canada Goose to switch out the down and fur for synthetic alternatives, sharing a graphic Facebook video showing coyotes caught in leg traps and shot in the head. There are viable synthetic options, but the truth is that non-vegans shouldn’t look askance at those coats. 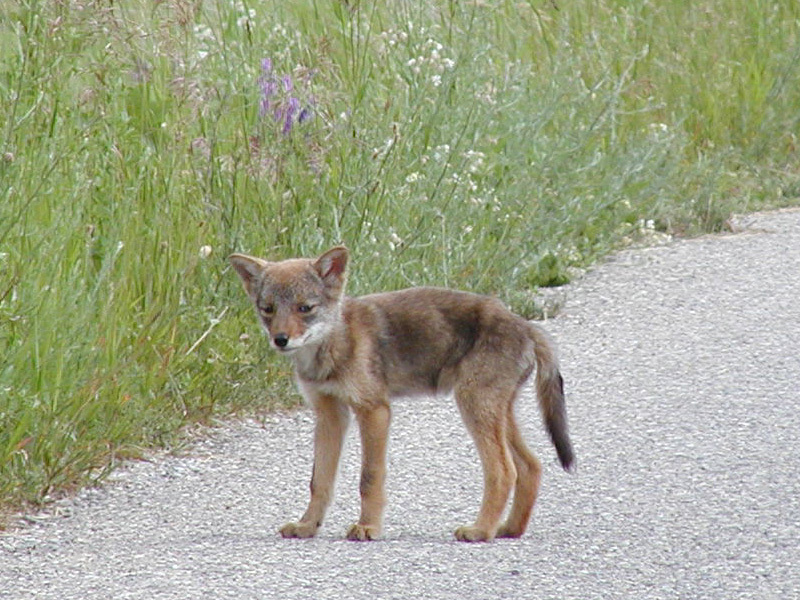 Canada Goose does unnecessarily kill coyotes, but helps the environment by doing so. Not only are coyote skins and goose feathers a renewable resource in a way synthetic alternatives are not, killing invasive predators is hugely helpful for the ecosystem in question. Coyotes are beautiful animals that can become a nuisance. In 2004, coyotes killed $10.7 million worth of sheep and lamb. The U.S. government kills about 90,000 coyotes a year in population control programs in areas where they have become a nuisance. Canada Goose fur is sourced through licensed trappers, who use rubber-edged leg traps and kill coyotes with a gunshot to the brain. This isn’t painless, but if you can accept the idea of a wild animal dying for your clothes, this is the best case scenario. Sustainable trapping can help control coyote numbers, relieve pressure on prey species lower on the food chain, continue traditions of living off the land, and contribute to rural economies. As for the down, Canada Goose sources it exclusively as a by-product of the poultry industry. If you eat chicken, you shouldn’t have a problem with goose feathers going into jackets rather than the garbage. A world without animal products for food and warmth would be a very carbon-intensive world. A lot of synthetic fabrics, including those that would replace down and fur, are plastics derived directly from fossil fuels. Some non-plastic alternatives, like cotton, require enormous of land, water, and chemical fertilizers. It’s true that today’s industrial meat production comes at an enormous environmental cost, but cutting out animals from diets entirely isn’t the most sustainable solution, either. That’s because some land can produce meat more efficiently that crops, and farms are healthier and more sustainable when they use a variety of animals and plants in a little-cultivated ecosystem. 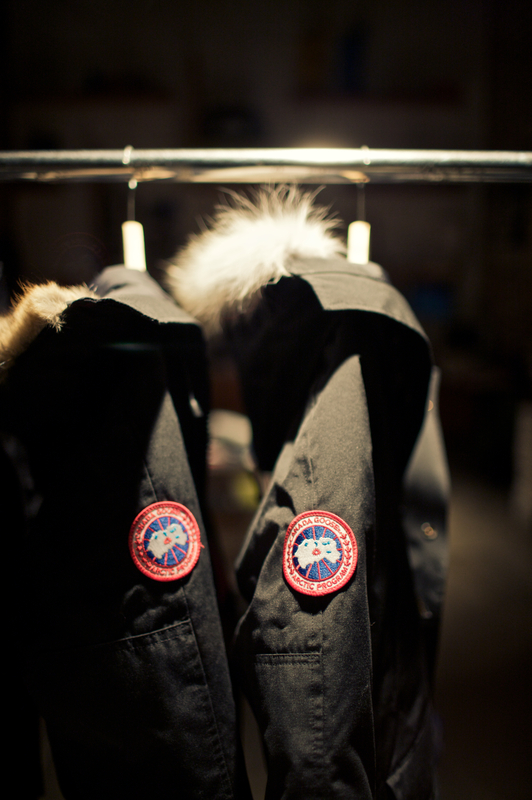 Canada Goose jackets just straight goosin'. This doesn’t mean you’re off the hook for all animal products you buy, including your Canada Goose jacket. PETA asks that you watch the footage of the coyotes dying before you buy your parka, and you should. That animal’s life is part of the cost, and it’s worth taking into consideration. Divorcing humans from the animal realm entirely isn’t the answer, but we still have the responsibility to be thoughtful about our consumption choices. That means, first and foremost, choosing less over more. Do you really need that jacket, or is the one you wore last year still in good shape? Does the climate where you live really merit a parka designed for temperatures of minus 40? Will you care for your jacket and make sure it lasts many seasons, or replace it with the next trend? In addition to consuming less, it’s worth considering the ethics of one animal product over another. Meat from your local organic farm is likely to be significantly better for the environment and the animals than whatever you find behind the supermarket counter. Similarly, if you plan to use animal products for clothing, it’s fine to demand that the producer takes steps to minimize harm to animals and the environment. That’s a bar that Canada Goose seems to meet.